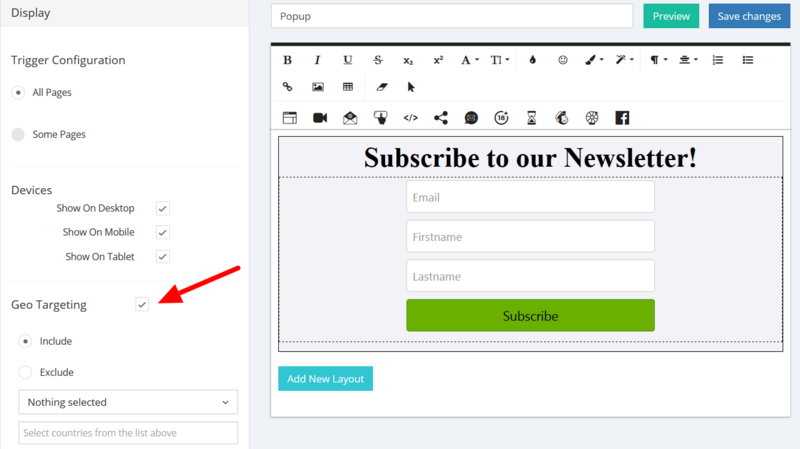 In the Display section of the Popup Maker editor (the left side of the page), with Geo Targeting option, you can Include or Exclude specific countries that can see the popup. Include - The popup will be shown only to the selected countries. 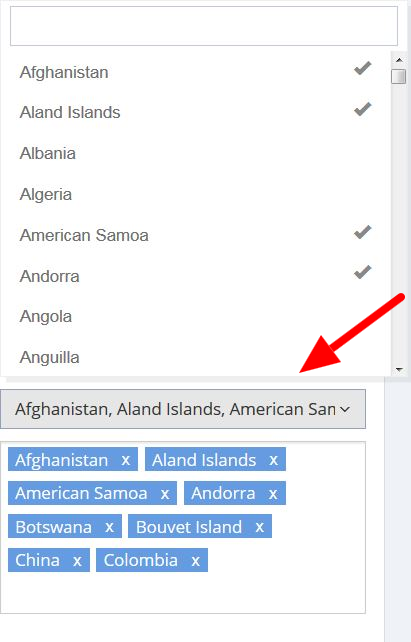 Exclude - The popup will be shown to all the countries, except your selected ones.